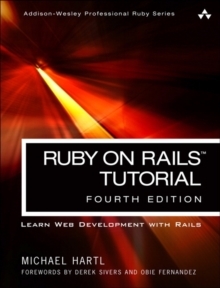 Ruby on Rails is fast displacing PHP, ASP, and J2EE as the development framework of choice for discriminating programmers, thanks to its elegant design and emphasis on practical results. 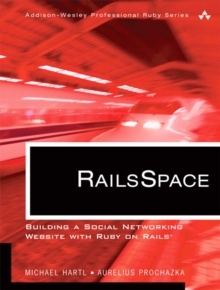 RailsSpace teaches you to build large-scale projects with Rails by developing a real-world application: a social networking website like MySpace, Facebook, or Friendster. Inside, the authors walk you step by step from the creation of the site's virtually static front page, through user registration and authentication, and into a highly dynamic site, complete with user profiles, image upload, email, blogs, full-text and geographical search, and a friendship request system. In the process, you learn how Rails helps you control code complexity with the model-view-controller (MVC) architecture, abstraction layers, automated testing, and code refactoring, allowing you to scale up to a large project even with a small number of developers. 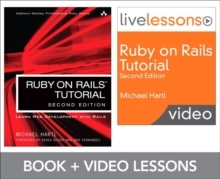 This essential introduction to Rails providesA tutorial approach that allows you to experience Rails as it is actually used A solid foundation for creating any login-based website in Rails Coverage of newer and more advanced Rails features, such as form generators, REST, and Ajax (including RJS) A thorough and integrated introduction to automated testingThe book's companion website provides the application source code, a blog with follow-up articles, narrated screencasts, and a working version of the RailSpace social network.